Open to exchanging singapore mints for other countries mints!would be able to exchange used singapore stamps after a few months. Welcome to Stamp Bears, hallie! I'm sorry for your family loss, but it's great to hear to you've decided to take up stamp collecting! Singapore has always produced well-printed and well-designed stamps, and I'm certain you will enjoy getting them from your local post office. Meanwhile, we (like most stamp forums) have a requirement of 50 posts before you can participate in buy/sell/trade/giveaway. You can reach 50 posts pretty easy -- just participate, post some pictures of the stamps you inherited, and the Singapore stamps you will be getting from the post office. Until then, please read Market Place Guidelines. This pub is in Singapore. If you have any questions please ask one of our great members . . .
And if you have any , see khj. If you know where to get in Singapore, please let me know in case I have to go there one day. khj has been known to sneak more than the allowed 3oz onto a plane in a catheter bag. Imagine the looks from the other passengers when he drank it. 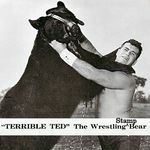 A warm welcome to StampBears. Please post some pictures of the stamps you have inherited. I hope you enjoy your time here. When I traveled (including to Singapore), I put Dr Pepper in my luggage. The risk is that the can could explode. Welcome to Stamp Bears. I'm sure you will enjoy your stay in our little den. Looking forward to hearing more about you and your collection. hallie, Welcome to Stamp Bears and the wonderful hobby of stamp collecting. Hope you will share pictures of your collection. Not done with tidying up the singapore stamps. Will post sometime this week or next week! What a great start to collecting! I don't collect much modern stuff anymore, especially Asia. So it's great to see many issues from the past 30 years that I haven't seen before! I try to "focus" on 1840-1955. But the reality is that I accumulate anything that remotely looks like a stamp from anywhere and anytime. If kacyds was stuck to piece of paper with perforated edges, I might even add him to my collection! Hello and greetings from Wales. One of my first penpals through the international youth service was from Singapore. I unfortunately got her first name and surname mixed up. Other than that, I can't remember much else about the letters, apart from stopping after less than a year.